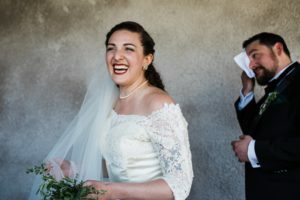 As a documentary-style wedding photographer, I help couples tell their honest and joyful stories. 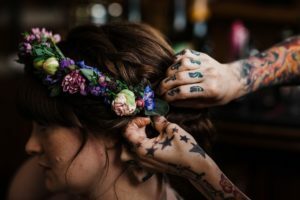 I firmly believe you should spend your wedding day focused on yourself, your partner, and your celebration– not the camera. 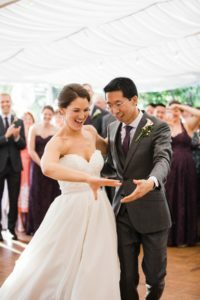 I work with couples planning weddings of all shapes and sizes, and my contracts are customized to your unique wedding day plans– no predefined packages or commitment minimums. 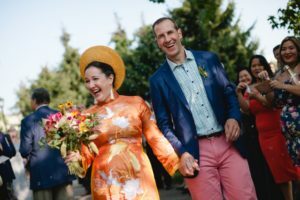 I’ve worked with couples to document weekend-long celebrations, 1-hour elopements, and everything in between. In the months leading up to your wedding celebration we’ll be in close communication so I can fully understand your wedding day vibe, plans, and dreams, and support you in finalizing your day-of schedule. This allows me to document your day with confidence, staying as under-the-radar as possible, and keeping portraits quick and clean so you can do your thing… it’s your day after all! After your wedding, you own all your photos, no catch. I do offer prints, books, albums, and fun products from partner labs that I trust, as well as locally-crafted products.